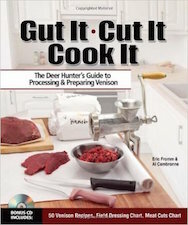 Books Review Gut It, Cut It, Cook It – One of the best illustrated, most complete deer processing books that I’ve seen. 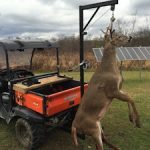 When it comes to deer hunting, there are probably a few billion books out there on how to do it. 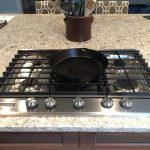 When it comes to wild game recipes/cooking venison, the numbers are up there too. When it comes to butchering a deer, there are maybe five. Maybe I exaggerate a little, but you get my drift. The hunting and even some of the recipe books may have an excerpt or two about how to butcher and process a deer, but I often find them lacking on detail. Or pictures. This book doesn’t lack on either. Gut it, Cut It, Cook It is one of the most comprehensive books on deer processing that I’ve found. It’s a large book (physical size, not number of pages), set up in a binder type format. 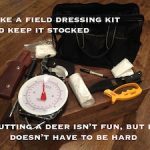 That means you could actually have it open WHILE you are processing your deer, and the page will stay where you are at. On top of that, the pictures are large, with great detail, the authors do a great job of actually showing what they are describing in the text. It does not currently have a digital format, and I hate to admit it (I haven’t bought a physical book in 10 years, other than this one), viewing this on a small screen would lose detail, so no digital version is not a bad thing. 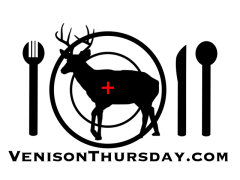 If you are a deer hunter, you should own this book. If you process your own deer and think you know everything, buy this book – you will learn something. If you don’t process your own deer, get this and you will see that butchering isn’t as complicated as you might think. I’m not saying that processing your own deer isn’t work, but the more you understand about the muscle structure of the animal, and better yet, the more you practice you get, the easier it is. 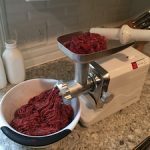 Plus you will get more meat from your deer (hey, butchers have a time sensitive business, no offense to the butchers and commercial deer processors out there), and it will be processed exactly how you want it! Buy it here, or read more about it here on Amazon.